There's more to Down Under than Chardonnay and Shiraz. We’ve all seen the big case stacks of Australian Chardonnay and Shiraz at our local retailers—and either yawned and walked right past them, or grabbed a bottle because it was convenient and represented a known quantity. There’s a reason this is such a common experience: Combined, Chardonnay and Shiraz accounted for nearly half of all the wine grapes crushed during Australia’s 2010 harvest. Despite a burgeoning interest in regionality among Australian wineries, producing that much Chardonnay and Shiraz ultimately leads to a certain amount of commoditization. Sure, there’s plenty of Cabernet Sauvignon, Merlot, Pinot Noir, Sauvignon Blanc, Semillon and Riesling coming out of Australia, too. Yet the country has much more to offer consumers who are willing to experiment. 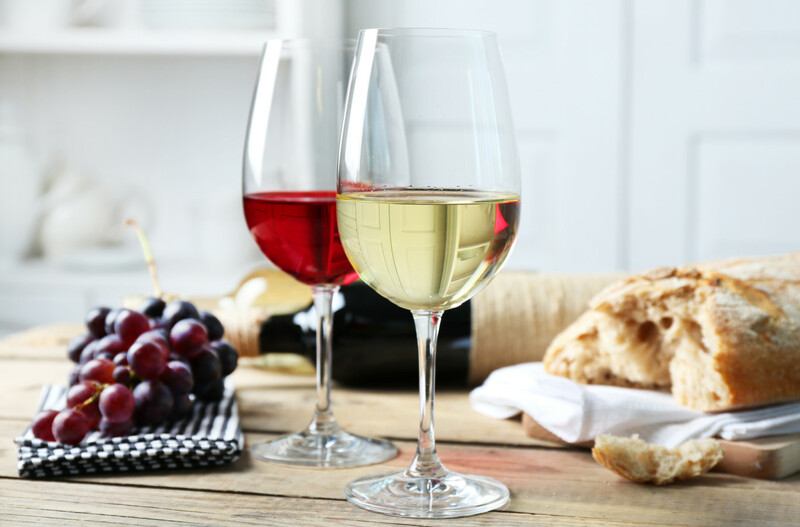 Such varieties as Malbec, Petite Sirah, Petit Verdot, Sangiovese, Tempranillo and Zinfandel among reds, and Moscato, Pinot Gris, Savagnin, Verdelho, Vermentino and Viognier among whites, may be harder to sell by the pallet, but are much more interesting to the palate. Australia’s long viticultural history means that some of these varieties could have arrived back in 1833, with the original collection of vines sent by James Busby, but others are more recent immigrants. All are capable of being turned into good—sometimes great—table wines by Australian vintners. Australia even has its own wine show to promote and improve the quality of these oddball grape varieties. The Australian Alternative Varieties Wine Show developed out of a Sangiovese tasting in 1999, says Max Allen, chief judge: “In 2000, it was an Italian varieties wine show, and then it became the AAVWS in 2001.” Over time, the mix of varieties has evolved, with certain ones being “promoted” out of the show once the number of wines has gotten too large and a style generally established. Pinot Gris was the latest to go, and—Allen allows—Moscato is likely to be next. “I see the diversity of styles and varieties as being really important to Australian wine,” says Allen. Amen to that. Better known in Australia by its French name, Durif, Petite Sirah has become something of a specialty in the Rutherglen region of Victoria. Those wines are often quite full bodied and powerfully extracted, not that dissimilar from some California Petite Sirahs, but availability tends to be limited here in the United States. De Bortoli’s 2008 DB Family Selection, sourced from Riverina fruit (87 points, $9) offers the only real competition to California’s Bogle at the value end of the category. It’s a plump, juicy wine for drinking over the next several years. Oliverhill, in McLaren Vale, also makes a notable, if pricier, example that reaches our shores. 92 Massena 2006 The Howling Dog Petite Sirah (Barossa Valley); $42. Partners Dan Standish and Jaysen Collins are also bottling Barbera and Primitivo, but the Petite Sirah (labeled Durif in Australia) is the only one of these available in the U.S. It’s an inky wine, yet remarkably well balanced and supple, marrying a lush, creamy texture with masses of blueberries and hints of mint and licorice. Drink now or hold up to 10 years. Imported by Epicurean Wines. Believe it or not, Yellow Tail’s 2010 Malbec (84 points, $8) took the trophy for top commercial wine at the 2010 AAVWS, awarded to entrants with minimum production of 10,000 cases. With nearly 53,000 cases of that wine exported to the United States, owner John Casella clearly has the ability to scale up production if America’s love affair with Malbec continues. Harder to find, but still worth seeking out is Bleasdale’s 2007 Second Innings Malbec from Langhorne Creek (87 points, $16). Both of these wines showcase vibrant fruit, mild tannins and reasonably crisp acidity. Elsewhere, Malbec often turns up as a blending grape, used by several Langhorne Creek producers and by Water Wheel in its Memsie red blend out of Bendigo. 90 Thorn Clark 2008 On Truro Volcanic Soils St. Kitts Vineyard Malbec (Northern Barossa); $30. A dark, inky purple color, this is a full-bodied (15.5% alcohol) but gentle Malbec; its vanilla, plum and black olive notes framed by supple tannins and a velvety finish. Drink it over the next several years. Imported by Kysela Père et Fils. Petit Verdot shows up most of the time as a blending grape, adding color and acid to Bordeaux-style blends, but some Australian wineries are bottling it on its own. Like Malbec and Petite Sirah, it makes for a darkly colored wine, but with often chewy tannins. It ripens late, but does so at more moderate alcohol levels than many other varieties, making it suited to warm, dry climates. Gemtree’s 2008 The Phantom from McLaren Vale (88 points, $20) is a good example; Pirramimma, in McLaren Vale, is another well-regarded producer. 88 De Bortoli 2008 Deen De Bortoli Vat 4 Petit Verdot (South Eastern Australia); $13. A bit austere, with an astringent edge, this requires pairing with rare beef or lamb to show its best. There’s a lifted, slightly floral aspect to the aromas, followed by crisp cherry fruit and a dusting of firm tannins. Drink now, but this also could be a wine that makes for a pleasant surprise in 4–5 years. Imported by De Bortoli Wines USA Inc. Best Buy. With all of the Zinfandel in California, Primitivo in Puglia and Crljenak Kaˇstelanski in Croatia, does Australia really need to go here? Why not, when the California-esque climate seems right and the results so far are positive. Kangarilla Road has been exporting one since at least 2001 from its McLaren Vale vineyards; the 2008 (87 points, $30) is a good example. Daryl Groom, who previously worked at Penfolds and for Beam Wine Estates in California, sourced his 2008 Bush Block Zinfandel (88 points, $26) from Kalimna, in the northern Barossa. 90 Hentley Farm 2007 Zinfandel (Barossa Valley); $32. This wine handles its elevated alcohol level (labeled at 16.5%) well, with masses of slightly jammy fruit and a creamy, lush mouthfeel. Hints of baking spices and leather add complexity and persist through the long finish. It would be fun to throw this in a blind tasting with some of California’s top Zins. Imported by MHW, Ltd.
“Sangiovese hasn’t performed that well,” says Allen, who allows that some of the problems may be “because of clonal reasons.” The Sangiovese clone found in Australia came originally from University of California at Davis, and it’s widely felt to be inferior to some of the Italian clones now becoming available. That said, Sangiovese performs creditably in some blends, such as Coriole’s 2008 Sangiovese-Shiraz (90 points, $16) and Hugh Hamilton’s 2009 The Mongrel Sangiovese Blend (87 points, $18), both from South Australia’s McLaren Vale. It can also make a fine dry rosé. 87 Robert Oatley 2010 Rosé of Sangiovese (Mudgee); $16. Coming in at just under 13% alcohol, this is a dry, Provence-styled rosé marked by crisp strawberry and citrus flavors. Ending on a refreshing, slightly chalky-mineral note, this would make a fun summer sipper. Imported by Robert Oatley Vineyards Inc.
Tempranillo is one of the most promising alternative varieties in Australia, according to Allen, who says it has overtaken Sangiovese in terms of number of show entries and overall performance. This versatile Iberian variety is being grown all over Australia, with Robert Oatley adding it to his Mudgee vineyards in 2008. Oatley’s 2009 Tempranillo (88 points, $18) was sourced from Victoria’s inland King Valley. From McLaren Vale, try Gemtree’s 2008 Luna Roja (89 points, $20), Nashwauk’s 2006 (87 points, $31), Hugh Hamilton’s The Scoundrel or d’Arenberg’s The Sticks and Stones, which blends Tempranillo with Grenache, Tinta Cão and Souzão. 90 Running with Bulls 2009 Tempranillo (Barossa); $20. A Yalumba project, Running with Bulls sources Tempranillo from several subregions of the Barossa under the stewardship of winemaker Louisa Rose. The oak here is subtle and well integrated, adding hints of vanilla and spice to the black cherry and plum flavors. It’s full-bodied and richly textured, yet soft and welcoming. Imported by Negociants USA, Inc.
Australian wines made from all of these varieties (and more) have been submitted to Wine Enthusiast for review in the past: Chenin Blanc, Colombard, Marsanne, Nebbiolo, Roussanne, Sagrantino, Saperavi, Tannat. Look for these—already being commercialized within Australia—to arrive in the near future: Aglianico, Arneis, Barbera, Fiano, Friulano, Garganega, Graciano, Grüner Veltliner, Kerner, Lagrein, Montepulciano, Teroldego, Touriga Nacional, Trebbiano. One of the fastest-growing categories, these are typically sweet, somewhat frizzante wines, made from any of several different Muscat varieties grown in Australia. As some of the varieties have reddish-pigmented skins, some of the wines are pink in hue; most are straw in color. De Bortoli’s Emeri line of nonvintage sparkling wines includes both hues ($13). Low in alcohol (some are below the 5% abv required to be called wine), the best Australian Moscatos are light and refreshing enough to balance the residual sugar. They’re mostly inexpensive, like the 2009 from Deakin Estate (86 points, $7) and the 2010 from Jacob’s Creek (84 points, $8), but some have higher aspirations. 87 Innocent Bystander 2010 Moscato (Victoria); $14. Hyperperfumed, with billowing floral notes, raspberries and citrus that provide immediate impact. The sweet, fruity flavors are adequately balanced by bubbly froth, making for an easy-to-drink quaff. The gentle pink color is even reminiscent of summertime sunsets. Drink now. Imported by Old Bridge Cellars. Pinot Gris/Grigio was recently expelled from the AAVWS, but it’s retained here because most American consumers are unlikely to think of Australia as a source for Pinot Grigio or Pinot Gris. The grape variety is identical; in most cases the choice of name will tend to indicate a style, with most Pinot Grigios being lighter in body and lower in alcohol than most Pinot Gris. Big brands, such as Yellow Tail (2009 Reserve; 86 points, $12) and Jacob’s Creek (2009; 84 points, $9), are exporting thousands of cases of Pinot Grigio, while some smaller wineries in cool subregions are fashioning worthwhile Pinot Gris. Others to look for include Yalumba’s 2010 Y Series Pinot Grigio from South Australia (87 points, $12) and Thorn Clarke’s 2010 Pinot Grigio from Eden Valley (87 points, $14). 87 Sidewood 2009 Pinot Gris (Adelaide Hills); $16. Pinot Gris is trendy in Australia, and this is a pretty good example, offering a broad, thick texture balanced on the finish by peppery spice, while melon and apricot flavors carry the midpalate. Drink it over the next few months. Imported by Uncorqed Inc.
Until only a couple of years ago, no one in Australia knew this variety was being cultivated—it was thought to be Albariño until a visiting ampelographer from the University of Montpellier, Jean-Michel Boursiquot, saw the vines. Now that the misidentification has been cleared up through DNA analysis, Savagnin—also known as Traminer—is increasingly showing up on wine labels. Australian vintners prefer to use Savagnin because 1970s wines labeled Traminer carry a poor quality, sweet wine connotation. Although the versions from Zonte’s Footstep (2009 The Love Symbol Single Site; 88 points, $15) and Gemtree don’t taste much like their progenitors from the Jura, they’re still crisp white wines that are welcome alternatives to Chardonnay or Sauvignon Blanc. 87 Gemtree 2009 Moonstone Savagnin (McLaren Vale); $20. This is an intriguing wine that the winery made “naturally,” with indigenous yeasts, no additions and no filtration. It’s slightly musky and nutty at the same time, with a creamy note to the pineapple-like fruit. It’s medium- bodied, at 12.5% abv, round in the mouth, yet crisp and slightly chalky on the finish. Imported by Guardian of the Grape Imports. The Hill Smith family of Yalumba has taken the lead in Australian development of this variety, dramatically expanding the clonal selections available through its nursery business. As a result, Yalumba is undoubtedly ahead of the game when it comes to Australian Viognier, with offerings up and down the price ladder: Yalumba’s 2009 Virgilius (89 points, $40), 2010 Made with Organic Grapes (90 points, $16), 2010 The Y Series (88 points, $12) and even its Oxford Landing 2009 (87 points, $10). Most Australian Viogniers emphasize the bold aromatics—often said to resemble flowers and apricots—and lush mouthfeel of this exotic grape variety. Other producers making top-flight efforts include De Bortoli 2008 Estate Grown (90 points, $27), Yangarra Estate Vineyard 2009 (89 points, $29) and Hugh Hamilton 2009 The Loose Cannon (88 points, $16). 91 Yalumba 2009 Viognier (Eden Valley); $20. Shows all the beautiful Viognier notes you could ask for: flowers, spice, apricot and melon, carried by a succulent mouthfeel that remains fresh and vibrant from start to lingeringly spicy finish. Drink now. Imported by Negociants USA, Inc.
Chalmers Nurseries in Mildura deserves much of the credit for bringing Italianate varieties to Australia in the 1990s, among them, Vermentino. Native to Liguria, Sardinia and Corsica, it’s also known as Rolle in the south of France, where it is a large component of many white wines from Provence. Very few examples of Australian Vermentino have made it to the United States thus far, but more are sure to come; the 2010 AAVWS featured 15 entrants in the Vermentino class. 87 Mitolo 2010 Jester Vermentino (McLaren Vale); $20. At only 10% alcohol, this Vermentino actually comes across a bit Riesling-like, with green apple and citrus flavors and a lingering, crisp finish. Drink now. Imported by Vintus LLC. This Portuguese variety appears to have come to Australia as early as the 1820s, when fortified wines in the style of Madeira were popular. The current vogue is to produce Verdelho as a dry table wine, usually unoaked to allow its varietal character to shine. The style ranges from rather austere, early-picked versions such as Hope Estate’s 2009 from the Hunter Valley (84 points, $13) to slightly riper versions, such as Bleasdale’s 2009 Pott’s Catch from Langhorne Creek (87 points, $14). 88 Zonte’s Footstep 2009 Sea Mist Single Site Verdelho (Langhorne Creek); $15. Smooth, easy-drinking and lushly textured, this Verdelho features peach and grapefruit notes that stay refreshingly clean and crisp on the finish. It should work well as an apéritif or with many fish dishes. Imported by Old Bridge Cellars. For where to eat and stay in Barossa and McLaren Vale, go to www.winemag.com/australiatravels.